Robert Blagojevich: The Court’s Account is "Flat Out Not True"
Rebuffed in his efforts to gain a new trial, or at least, a new sentence for the many crimes a jury says he committed, Rod Blagojevich remains in a federal prison in Englewood, Colorado, as his lawyers scramble to work on a legal Plan B. But did the appellate court get all of its facts straight? Among the most scathing passages in the 23-page opinion, Judge Frank Easterbrook noted that Blagojevich was rebuffed in his initial efforts, to exchange a senate seat appointment for a cabinet position, or possibly even a cushy job at a non-profit blessed by the new president. The problem is, that’s not what happened. And Blagojevich’s brother was furious when he read the account in the court’s ruling. At the time, Blagojevich was working as a fundraiser on his brother’s re-election campaign. He notes it was he, not the governor, who was approached by emissaries of then-congressman Jackson, offering fundraising in exchange for appointing Jackson to the vacant Senate seat. Indeed, in one wiretap, the former governor is heard discounting the possibility. Appellate Lawyer Urges Blagojevich to "Fight On"
At one point during the former governor’s second trial, the origins of the offer were described in a meeting at a Loop restaurant in October of 2008. Indian businessman Rajinder Bedi, the former chief of the Department of Commerce and Economic Opportunity, said that he was present at the meeting at the 312 Chicago Restaurant on LaSalle Street, with Jackson and fellow businessman Raghu Nayak. Patti Blagojevich: "We Are Very Disappointed"
He said Nayak asked him to send word to Blagojevich that he would raise a million dollars for the governor, if he would give the senate job to Jackson. But Bedi stated that when he passed the offer to Robert Blagojevich, it was rejected out of hand. Jackson and Rod Blagojevich were bitter political enemies, Blagojevich feeling that the congressman had betrayed him over an earlier endorsement. But federal wiretaps indicated that later, with other avenues stalling, Blagojevich began seriously entertaining the appointment of Jackson to the vacant senate seat. In a phone call December 4, 2008, he told his brother that he was “elevating” Jackson on his list of candidates. As it turned out, the FBI was listening. And when he learned that, Blagojevich instructed his brother to cease all contacts with Jackson and his supporters. At the time the scheme was described in the Blagojevich indictment, Jackson insisted it was not true. “I never sent a message or an emissary to the governor to make an offer, plead my case, or propose a deal about a U.S. Senate seat,” Jackson said, shortly after Blagojevich’s December 2008 arrest. Some versions of the story put the fundraising figure as high as $6 million. 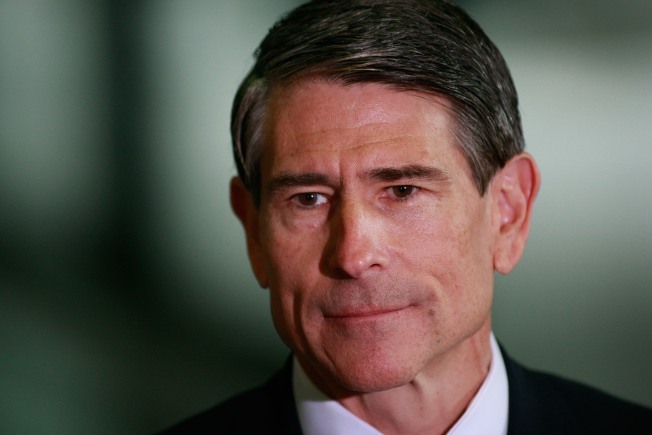 Whatever the number, Robert Blagojevich has long maintained that Jackson got a pass on the alleged overture, so much so that he told his story to the House Ethics Committee before the congressman resigned in disgrace amidst his own scandals. But back to the appeal. Easterbrook said it was right for trial judge James Zagel to include the alleged $1.5 million offer, when he was calculating the potential loss to the taxpayers from the former governor’s alleged misdeeds. But the fact remains, that on the very day Blagojevich spoke to his brother about Jackson, he was speaking to other advisors about other candidates, among them Lisa Madigan and former school chief Gery Chico. Robert Blagojevich says the convoluted telling of the facts in the appellate decision, are just one example that the court reached a flawed conclusion. And he said he is not optimistic that the former governor will now receive a reduced sentence when his case is returned to the trial court.